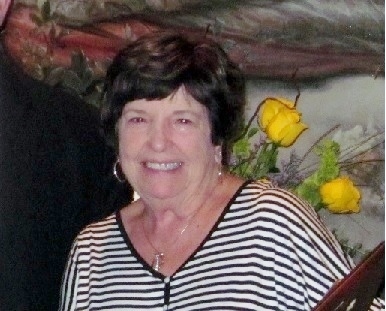 The California Cotton Ginners Association is pleased to announce that Rosemarie Dowdle has been named as the recipient of the 2014 Ginner of the Year. The award is given each year to honor and recognize an individual who has provided dedication, knowledge, and special service to this Association as well as the ginning industry. Dowdle is the Gin Manager at Tri City Growers Gin in Terra Bella, California, and just completed her 50th season at Tri-City! She began her career at Tri-City in October of 1964 becoming the Manager in 1975 and has the honorable distinction of becoming the first woman gin manager in California. In honoring Dowdle, CCGA President/CEO Roger Isom cited her long time support of the Association and its efforts, as well as her commitment to high standards at the gin. As an example, Isom pointed out that Tri-City Growers gin was the first gin in California to receive the award for 5 consecutive years without a lost time accident, and the first gin to receive the award for 10 consecutive years without a lost time accident. In fact, in the history of the CCGA Annual Injury Survey, Tri-City Growers has the fewest reported lost time accidents of any gin in California! This is an amazing accomplishment and starts with the leadership at the top. Congratulations on a long overdue and well deserved recognition for Ms. Rosemarie Dowdle. The California Cotton Ginners and Growers Associations are voluntary dues-based organizations representing cotton growers and cotton gins throughout California on regulatory and legislative issues ranging from energy and air quality to labor and water quality. This entry was posted in NEWS & ISSUES on June 17, 2014 by ccgga.